Every year, the passage of another college football season spans from August through January, and the economic machine keeps thousands of people in industries from foodservice to retail apparel busy. As with most businesses of this scale, there are stories of altruistic endeavors, along with tales of the seedier side. For as long as homo sapiens have lived in groups, the narratives of competition for limited resources and the strong taking advantage of the weak have existed. College football isn’t immune to those storylines. In several ways, that competition is exactly the focus of the sport, as can be said of all sport. If not for competition, there would be no reason to keep score or record statistics. On the field of play, competition is not only expected, but celebrated. It’s the entire reason why everyone involved, spectators to athletes, are there. In major college football, excelling in that competition is very lucrative. 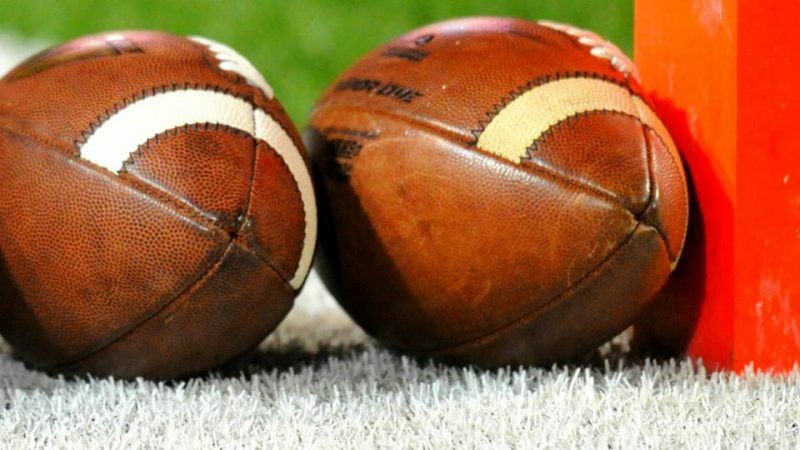 Athletic directors and head coaches stand to gain performance bonuses of several thousand dollars if their teams reach bowl eligibility or achieve other significant milestones. On the other hand, failure to excel in that competition can lead to loss of employment among many other undesirable consequences. Because the stakes are high and the top of the mountain so small, individuals who stand to lose or gain much in the business of college football have often resorted to unethical means in order to improve their chances to not only survive, but thrive. Unfortunately, the athletes who play the game are often the ones who become the means to the end. Such was the experience of one former college football player, Robert Green. Green grew up in Long Island, and had anything but a picturesque adolescence. His solace was found on the football field. What could have been the end of the story on Green and his experience with organized football tied to education was just the beginning, however. It was on that trip that Green was introduced to all the enticements put out by college football programs to lure in young men. At his young age, that was all that Green needed to make a rushed and short-sighted decision. “I made a decision and committed before I got back to New York. As a player, it was all about me. That was how we were taught, how we thought, what we believed. There was no thought of it as a business decision, about a degree or graduation, just that they loved me,” Green elaborated. The storybook picture that had been painted for Green quickly started showing signs of fabrication, however. If that was the entirety of Green’s story, that would have been tragic enough. Sadly, there are yet more ways that Green was fleeced for his physical gifts. Contrary to Green’s hopes, things only got worse. Unfortunately, Green’s tragic story didn’t end with the close of his college football playing days. Green’s experience, along with the others he has witnessed during and since his time playing college football, is the reason why he began working as an adviser to young people in the same position and their families. Through Pre-Post Game, Inc., Green endeavors to protect athletes from suffering the same effects. “The gladiator mentality is that if I win, everyone is going to make me feel good. I was there. All these people, these coaches, these mentors, are basically just shooting fish in a barrel to see if they hit anything,” Green explained. “There are so many runners and other people who are getting paid cash to get in front of athletes, it can be someone in the kid’s family, an AAU or high school coach, but these state-funded schools that are getting money to these people without any trace because it’s all cash,” said Green. There are a few different paths that the sports trafficking can take, but the most common involves the runners acting as intermediaries to start the process and then it gets worse. As with Green’s own experience, the rest of the recruitment process and the actual time spent as an athlete at an institution can often build on this shady deal. The efforts to manipulate circumstances so that young men with his athletic talent continue to be taken advantage of past their collegiate days has taken other forms in Green’s experience. Perhaps the worst ramifications are for those athletes at NCAA member institutions who genuinely consider themselves students first. The contingent of football players who realize that their prospects of playing in the NFL are slim or simply don’t want to pursue that, but merely use the sport to provide themselves with an education, often find themselves just as disappointed as Green was with that experience. From Green’s perspective, the only way to combat these methods and allow young men like him to use these channels to achieve their goals is through education and vigilance. When faced with high-stakes situations and put in a position where there is little to no oversight, human beings can quickly become like vultures, taking advantage of the ill-equipped to defend themselves. Green himself has been the victim of such unscrupulous attacks, but through sharing those experiences with others in similar positions, is working to decrease the number of easy targets.